For 8 years, I taught high school students to sew. 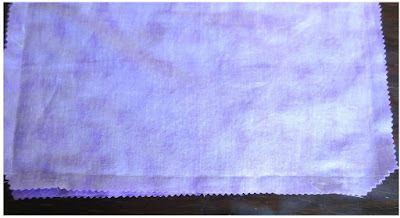 Some while a public school teacher, some in my home through sewing lessons. 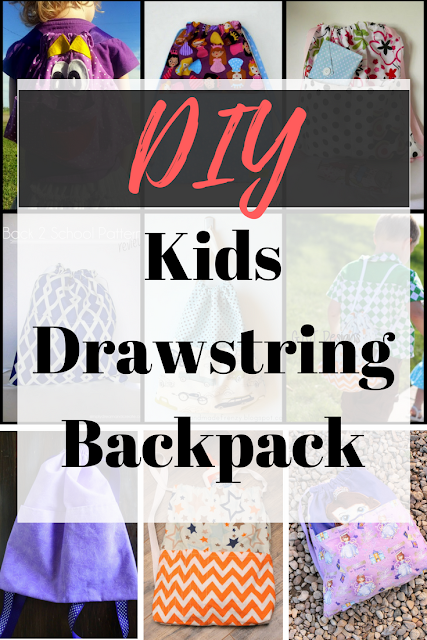 One of the many projects I always taught was how to sew a drawstring backpack pattern. It teaches great skills plus they really love them. That being said, over time I put together my own version of the drawstring backpack. I call it the Traveling Backsak. 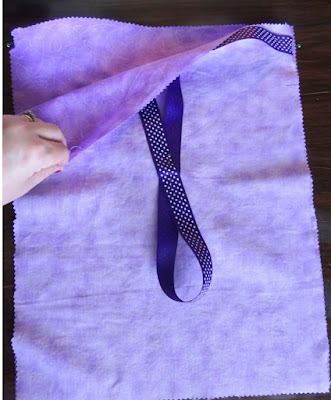 It can be a great beginner pattern while still challenging the student to do new techniques. This pattern is great for simple travel like to Grandparents or a trip to the library. You can use it to transport those all important ballet slippers or the soccer cleats. 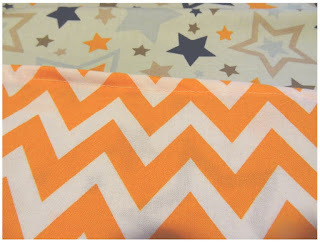 You can also adjust the straps on the pattern to fit the needs of your child and whatever age. For instance, I've made several for my 3 children over the years. The Sofia and Mater Backsaks I made for our trip to Disney World several years ago. They were perfect. We used them on the airplane and while in the parks. They could fit toys, snacks and a water bottle. 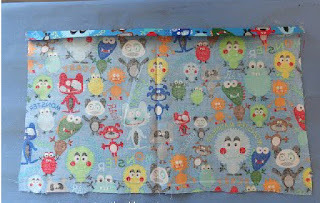 My sister likes to use the Traveling Backsak for her children while they travel on planes and trains. They pack up all their precious cargo and can entertain themselves for hours. She has requested new ones because they are so useful. Just want the pattern and full tutorial and none of the hassel? Get them both for download for just $2.50. No need to access the internet each time you want to make your own. 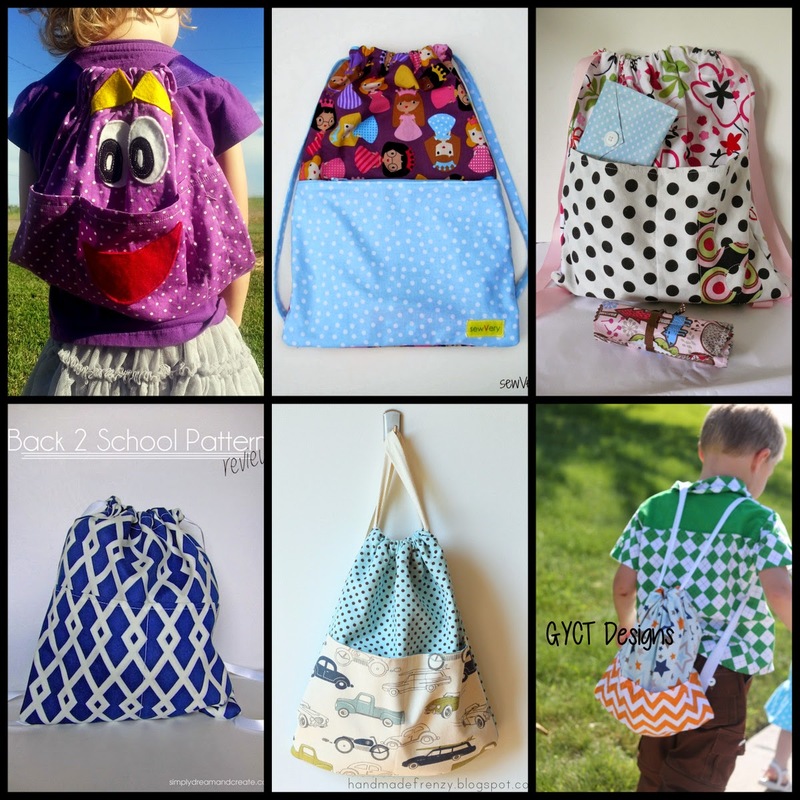 Download Backsak Pattern Pieces in our resource library. Take pocket piece and turn down 1/4". Turn down again 1/4". Sew across. 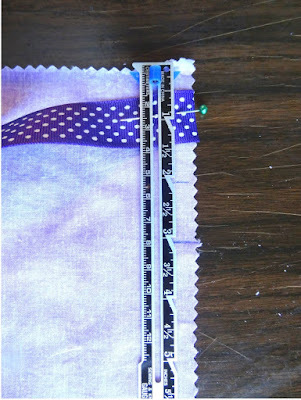 Place pocket onto front bag piece and sew down the middle through both layers. Now sew the remaining 3 sides of the pocket down to the front bag piece . 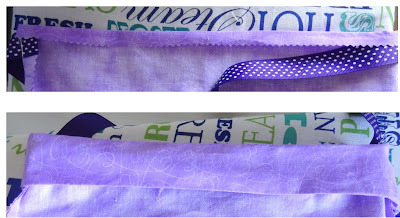 Take your 60 inches of webbing or ribbon, fold it exactly in half and cut it. 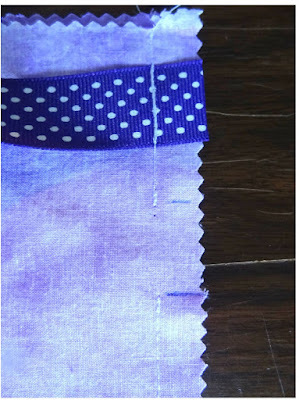 With wrong sides up, place your straps 1 inch from the top edge of the front and the back piece. Stitch in place. With right sides together, place front and back pieces together (Figure E). Measure down from the top edge and mark at 2" & 3". Sew your bag from the top, down to the 2" line. Then leaving a gap, start sewing again at your 3" line and continue to the bottom edge of the bag . 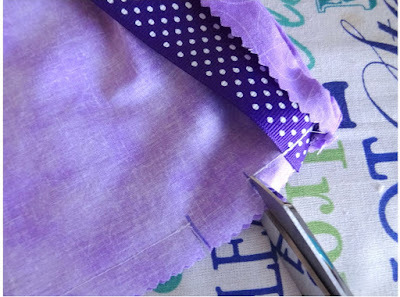 Make sure to backstitch near your gap to secure your stitches. Repeat this step for the opposite side of the bag. 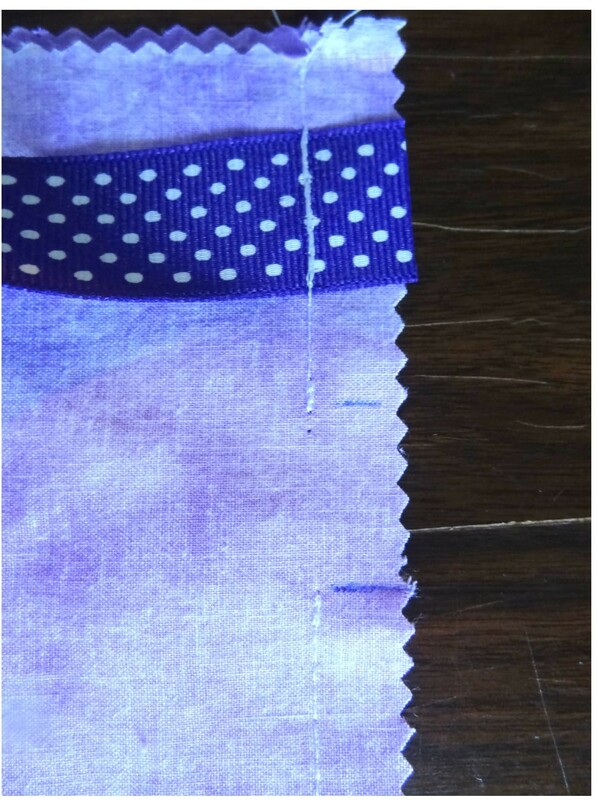 DO NOT SEW THE BOTTOM OF THE BAG YET. Now, cut on your pencil lines to, but not through your stitching on both sides of the bag. WARNING: If you cut through your stitching you'll have a real BIG hole at the very end. 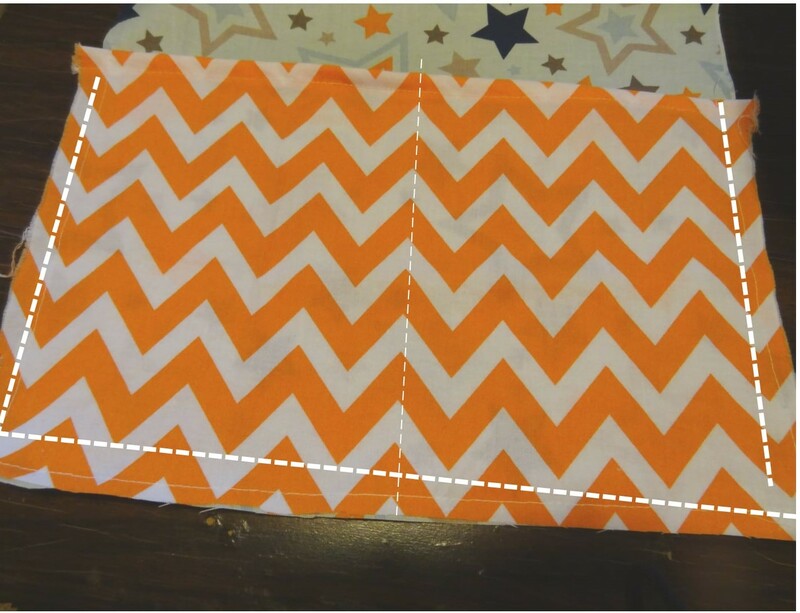 With the flaps you just cut, fold them open and place them under the machine needle. 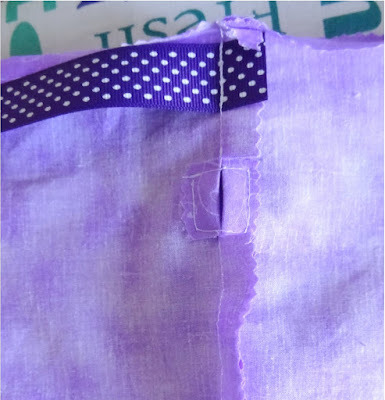 Stitch flaps down in a square through just the top layer. Take straps and pull them through the two openings on the opposite side of the bag. Turn your bag right side out. 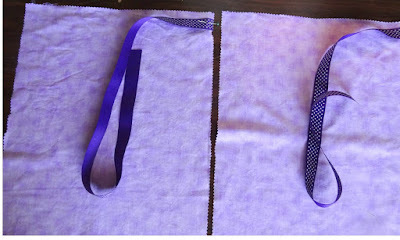 Place bottom edge of the straps to the bottom of the back layer of the bag (Figure O). 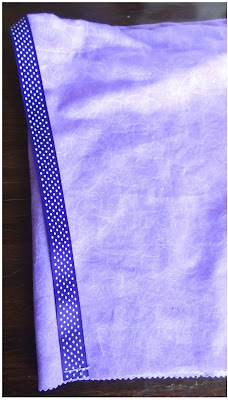 Stitch in place through just the back layer. 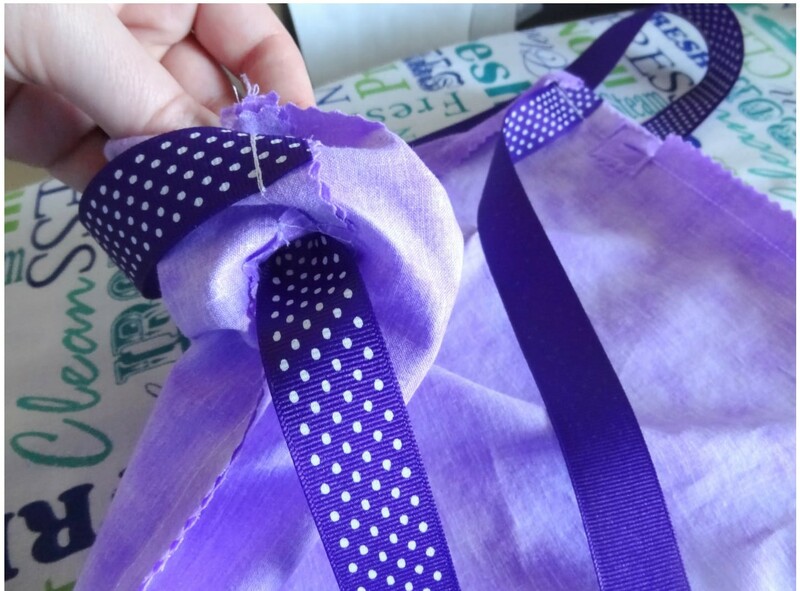 Turn the bag inside out and stitch 1/2" from the bottom. You're finished!! 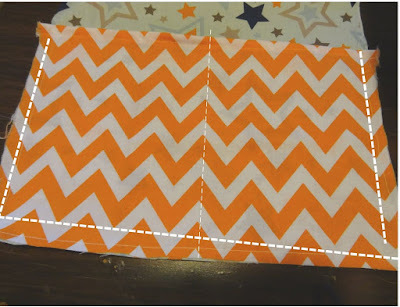 See how simple and fun this pattern is. 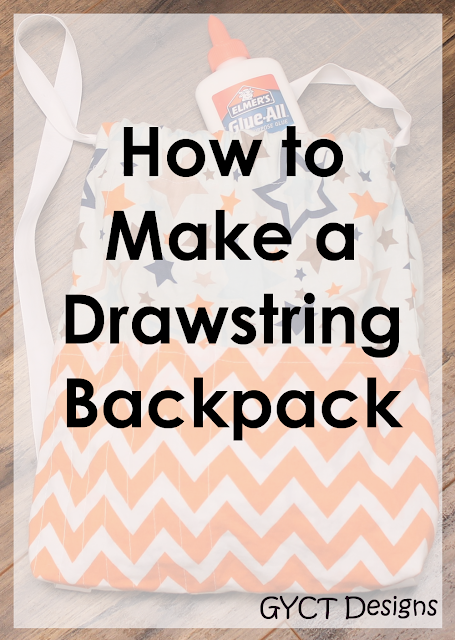 Remember, if you'd rather just download the drawstring backpack pattern and tutorial with all the instructions, pattern pieces and even measurements, you can get the full tutorial and PDF pattern for download for just $2.50. No need to access the internet each time you want to make your own. 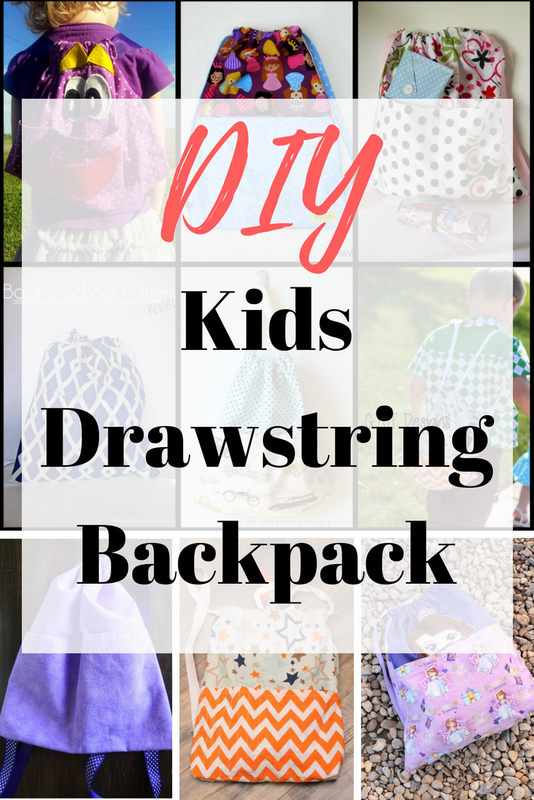 I've also had several blogger friends make the drawstring backpack pattern through the years. They've enjoyed it and many of their children have made the pattern themselves as well. I know you and your children will enjoy it too!